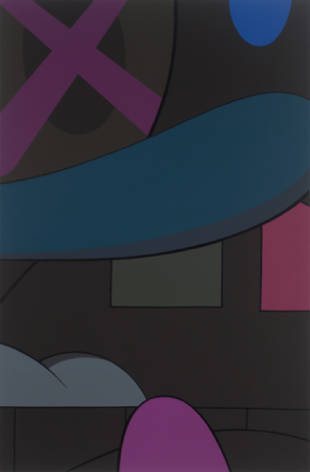 KAWS (American, b.1974) is a notable limited-edition toy and clothing designer. He was born in Jersey City, NJ, as Brian Donnelly. 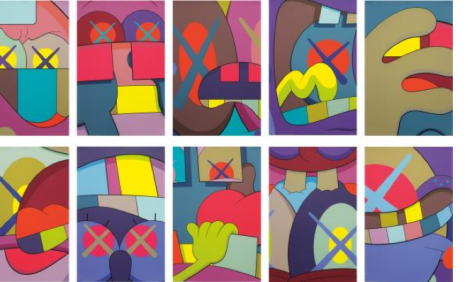 Growing up in New Jersey, KAWS first became interested in graffiti in elementary school, where he spent a good deal of time copying graffiti images onto paper. His first influences were neighborhood children, who painted graffiti images on walls within his community. As he grew older, his influences came from traditional life painters, such as Gerhard Richter (German, b.1932), Klaus Oldenberg (Swedish, b.1929), and Chuck Close (American, b.1940).